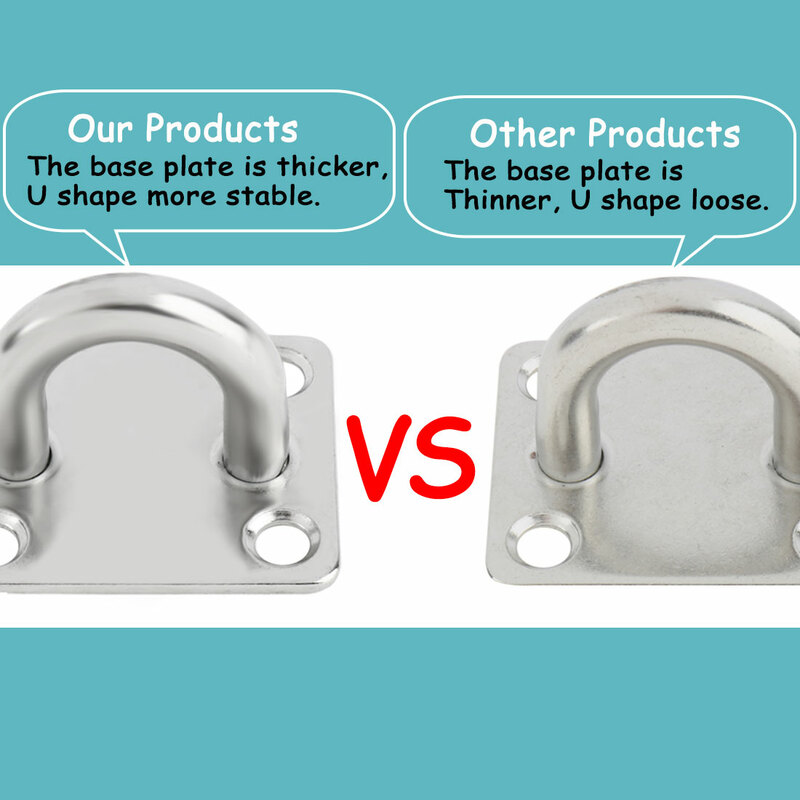 Enclosed hook, u shaped, u design is durable and solid. The ceiling hook is made of 304 stainless steel, can hold up heavyweight. Ceiling mounted, install it on the ceiling in an area you would like to hang umbrella, pot planting, projection cloth, sandbag, etc. Mounting screws are included here. Rhombus Size 2: 100 x 55 x 50mm/4 Inch x 2.2 Inch x 2 Inch(L*W*H), Metal Anchor Kit Installation.